• Arizona is fourth nationwide for jobs in the space and defense systems manufacturing industry, employing more than 8,700 people, according to TechAmerica's 2013 Cyberstates Report. • The Pentagon's most expensive programs have declined 3 percent annually from 2009 to 2014, according to IBISWorld. • Metro Tucson accounts for 17,500 employees in the missile and space vehicle cluster in 2013. Tucson ranks No. 1 in the nation for this activity, according to the Economic and Business Research Center in the Eller College of Management at the University of Arizona. • The U.S. Census showed from 1997 to 2012, the number of establishments in the missile and space vehicle industry went up 21 percent nationwide, while total employment over those same years dropped about 7 percent. A more drastic drop was employees per establishment, which was down 23 percent. Arizona’s missile and space vehicle industry has faced massive cuts to its government contracts over the last four years, forcing some companies to explore other revenue sources. 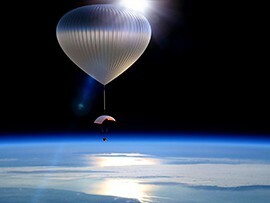 Experts said the industry may turn to space tourism and commercial space programs to fill that gap. The state has several advantages to expand in this market: good weather, a strong infrastructure and legislative support. 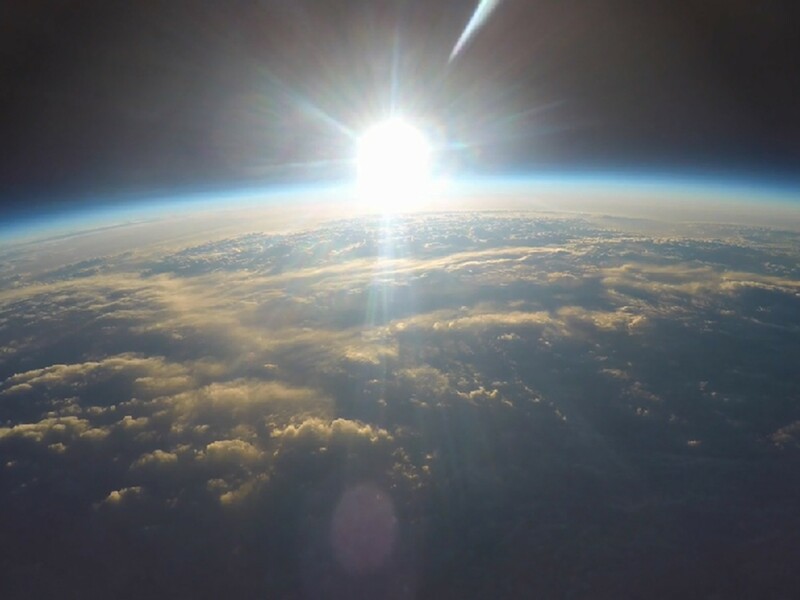 One Tucson-based company plans to start taking passengers to the outermost edge of earth’s atmosphere in high-altitude balloons by next year. Another recently won a contract to develop humidity control systems for commercial spacecraft. “Government funding is on the decline, but space tourism is set to launch,” according to a 2014 industry report by IBISWorld, a Australian-based research company. Arizona has 1,200 companies operating in the aerospace field, making the state America’s third-largest supply chain contributor for aerospace and defense, according to a 2012 study by the consulting firm Deloitte, which looked at the emerging industry trends. These aerospace companies significantly impact Arizona’s overall economy, contributing $15 billion annually to the state’s gross domestic product, according to the Arizona Chamber of Commerce. The military accounts for 63 percent of the missile and space vehicle industry revenue nationwide, according IBISWorld. In 2011, federal funding for defense began to decline. Experts estimated funding has dropped 3 percent annually from 2009 to 2014. The federal government contributed $620.6 billion in 2014 to the missile and space vehicle industry, according to IBISWord. Reduced combat operations in the Middle East and the federal sequester – automatic across-the-board budget cuts – caused the decline, according to experts. In 2012, the state’s space and defense industry received $14 billion in federal contracts, and 91 percent came from the Department of Defense alone, according to the Arizona Chamber of Commerce. With the decrease of federal funds, Arizona has billions of fewer dollars entering the economy, said Steven Zylstra, president and CEO of the Arizona Technology Council and a 20-year veteran in the aerospace and defense industry. With the industry’s top customer spending less, industry stakeholders need to explore broadening their horizons to accommodate more than just the military, Hoffman said. Tucson ranks fourth in the nation for the total percentage of manufacturing workforce dedicated to high-tech work, with more than 51 percent related to aerospace and defense, according to the Arizona Chamber of Commerce, which cited a 2012 report by Brookings Metropolitan Policy. Metro Tucson is No.1 in the nation for the most employees active in a missiles and space vehicles trade cluster, according to the Economic and Business Research Center in the Eller College of Management at the University of Arizona. Clusters are geographically concentrated groups of connected companies, universities and related institutions. But the industry has faced challenges. Direct aerospace manufacturing employment in Tucson saw a decline of about 4 percent from 2013 to 2014, said George Hammond, the director of the research center. Tucson has been updating local infrastructure to accommodate the needs of the industry. “Tucson is looking at ways to attract and gain firms in this cluster,” Hammond said. In 2015, Pima County released a new economic development plan proposing a $600 million parkway-freeway combination, which would link Interstate 19 and Interstate 10. The road would cut through an area just south of The Raytheon Co., a major American defense contractor and missile systems facility in Tucson, Hammond said. Officials said the plan may help prevent and slow some of the loss in employment by making it easier and cheaper for the suppliers and companies to do business in the area, Hammond said. But the companies may need to change, too. To remain competitive in the space industry, the government has encouraged increased competition in the commercial sector, IBISWorld reported. The budget of NASA, the organization in charge of the U.S. space program and a major buyer of spacecraft and related equipment, has declined every year since fiscal 2011. Still, IBISWorld predicted missile and space vehicle industry revenue will increase from 2014 to 2019, but only about 1 percent annually. IBISWorld said companies should focus on several areas: developing contracts for commercial space flights, meeting the growing demand for communication satellites, increasing exports to allies, adding new missile and space development programs and advancing into space tourism. In 2014, Arizona passed legislation that opened the door for commercial spaceflight in the state. HB 2163 allows companies to obtain waivers of liability for passengers on commercial spaceflights, in compliance with federal standards. The bill defines the potential risks of spaceflight to passengers and sets the terms and conditions of a waiver. 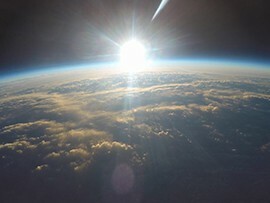 “Thanks to this bill, space tourism is able to find a home in Arizona,” Katelyn Mixer, a spokeswoman for World View Inc., said in an email. World View provides commercial services for educational and research flights. 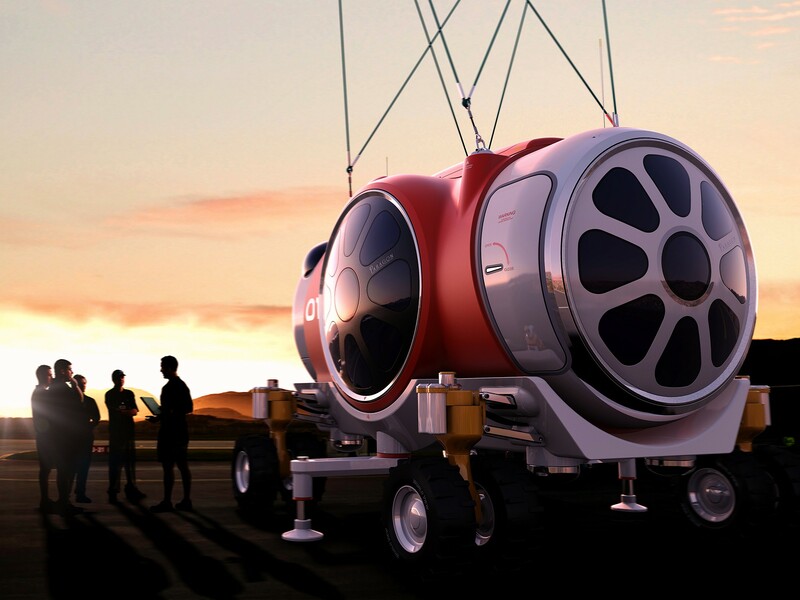 But the company plans on entering the space tourism game in 2016. The company has high-altitude balloons that can reach 100,000 feet in 90 minutes, with a total flight time of four hours. The company will allow customers to take a space flight for $75,000 per person, compared to Richard Branson’s $250,000 Virgin Galactic’s space flight. World View is taking reservations for manned flights and private tours. People are investing time and money into space tourism to position themselves as leaders in “an industry destined to be the largest, most prestigious and profitable industry ‘off’ world,” said John Spencer, founder of the Space Tourism Society, a California-based organization that works to make space tourism readily available faster. Experts predict that companies that meet the new demands of commercial space will find success and survive government budget cuts. Raytheon Missile Systems is largest private employer in southern Arizona. The loss of government funds has caused problems for Raytheon, whose missile systems division is based in Tucson. IBISWorld estimated steep revenue declines for the company. In 2014, Raytheon’s space vehicle and missile manufacturing operations revenue was $6 billion, down $705 million from 2010, according to the research group’s estimates. However, Raytheon officials said the global company does not feel the cuts like other aerospace companies because it manufactures weapons, not platforms, spokesman John Patterson said. He added that the government will continue to manufacture weapons. Raytheon has a 26 percent national market share for guided missiles, making it one of the Top Four companies nationally active in this industry, according to IBISWorld. But even Raytheon, which “does not do too much from a commercial standpoint,” Patterson said, sees its future in space operations. Raytheon recently completed a 9,600 square foot, $9.2 million expansion of its Space Systems Operations factory at its Tucson International Airport plant complex. The “space factory” was created to boost the company’s ability to create rocket-propelled “kill vehicles” that hunt and destroy ballistic missiles in space. Space travel is here and now! 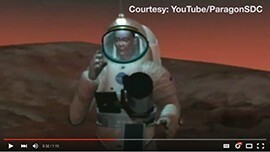 Paragon, a space development company in Tuscon, is getting ready to send tourists to space for 75 thousand dollars a head. And so, in order to keep people safe and keep the tours going, House bill 2163 was drafted to ensure that the passengers are legally liable for their own risks via the signing of a safety waiver. World View plans to start taking passengers to the outermost edge of earth’s atmosphere in high-altitude balloons by 2016. 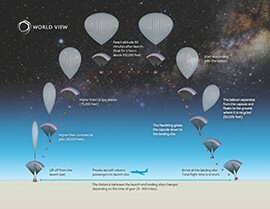 A pressurized flight capsule that accommodates six voyagers and two crew members is transported by a high-altitude balloon to more than 100,000 feet above the atmosphere. World View’s capsules will give voyagers a unique view of Earth. A graphic depicting the altitude of the flight.